Sign up before July 16, 2015 and receive a 25% off discount on any hosting package. This is a lifetime promotion so even if you upgrade or downgrade your hosting plan in the future, the discount will continue. Just follow the link to signup and the discount code will be automatically applied. Arun Kumar liked this on Facebook. Pankaj Emøxy Panku liked this on Facebook. Dipak Sáhoo liked this on Facebook. 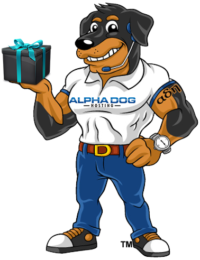 Alpha Dog Hosting liked this on Facebook. Cul Manish Thapa liked this on Facebook. Shoail Saddam liked this on Facebook. Manjit Parmar liked this on Facebook. Esmeralda Luna liked this on Facebook. سرور ژوند liked this on Facebook. Usman Ovessi liked this on Facebook. Kirshan Chand Rs liked this on Facebook. Aarif Hussain liked this on Facebook. Azmat Arman liked this on Facebook. Muhmmad Asif liked this on Facebook. Chaudry Ali Gondal liked this on Facebook. Israr Ayani liked this on Facebook. Kamran Ali Talpur liked this on Facebook. Shêråz Ål ßåløXshî liked this on Facebook. Naseer Khokhar liked this on Facebook. Mustafa Gujjar liked this on Facebook. Ismail Khan liked this on Facebook. VeEr Babu liked this on Facebook. Løvër Bøy Lîpûñ liked this on Facebook. Sam Al Balushi liked this on Facebook. Zulfiqar Mahar liked this on Facebook. Mansoor Nawaz Shar liked this on Facebook. Muhammad Hsn liked this on Facebook. Kalim Khan Nasar liked this on Facebook. Mady Bachelor liked this on Facebook. Ankur Saikia liked this on Facebook. Raja Karan liked this on Facebook. Mee H Xangmai liked this on Facebook. Vijay Kumar liked this on Facebook. Nihal Baruah liked this on Facebook. Vema Reddy Venkatesh liked this on Facebook. Sahidul Alam liked this on Facebook.